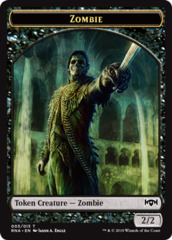 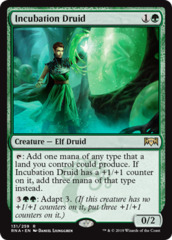 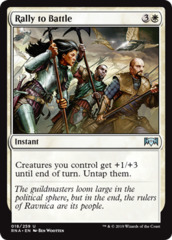 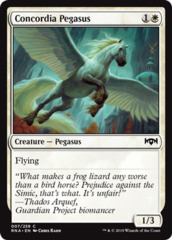 Card Text: "At the beginning of your upkeep, exile the top card of your library. 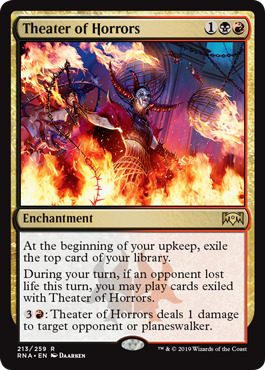 During your turn, if an opponent lost life this turn, you may play cards exiled with Theater of Horrors. 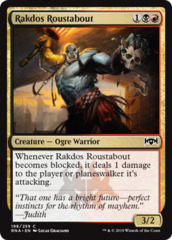 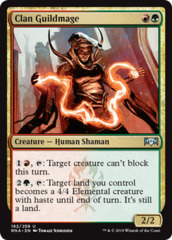 3R: Theater of Horrors deals 1 damage to target opponent or planeswalker."